I saw on one of the blogs I follow, Horrendous Color, a manicure that I absolutely flipped over. She mentioned how much she loved Icings “After Party” and I remembered that I had recently picked up that polish too. When I bought it, I didn’t think I liked it that much. I tried it over Essie’s “Van D’Go” on an accent nail and hated it so much I never posted a picture. But when I saw Melissa layer it on every nail over a black cherry color from Zoya, I loved it and needed to try it again. I didn’t want to be too much of a copy cat so I paired it over a lighter medium toned purple that I got in one of my Julep Boxes. Julep “Charlotte” is the only color I liked from my March Julep Maven’s Box and is seriously a dream to apply. 1 coat and its perfectly opaque and unlike the other Julep 1 coat polishes, this isn’t thick and tar like. So I put one coat of Charlotte down and then put 2 coats of After Party down. And honestly, I can’t stop staring at my nails. It is so much fun and reminds me of the Flinestones or Fruity Pebbles. Don’t ask me why, maybe its all the jagged triangles that are every color of the rainbow, but this reminds me of the Flinestones or even confetti on New Years. I love this polish now and have so many ideas for layering. The only downside, I’m wearing 2 coats of top coat and I can still feel the jagged edges of the glitter. On my middle finger, there is even one sharp piece that keeps scraping my skin. Oh well, a small price to pay for hottness. Thank you for the mention! I really like the glitter with that color! I also had an issue with the jagged edges, but after applying a top coat twice it wasn’t an issue. I agree; a small price to pay! no problem! you gave me the idea so you definitely deserve a mention! That looks very cool! 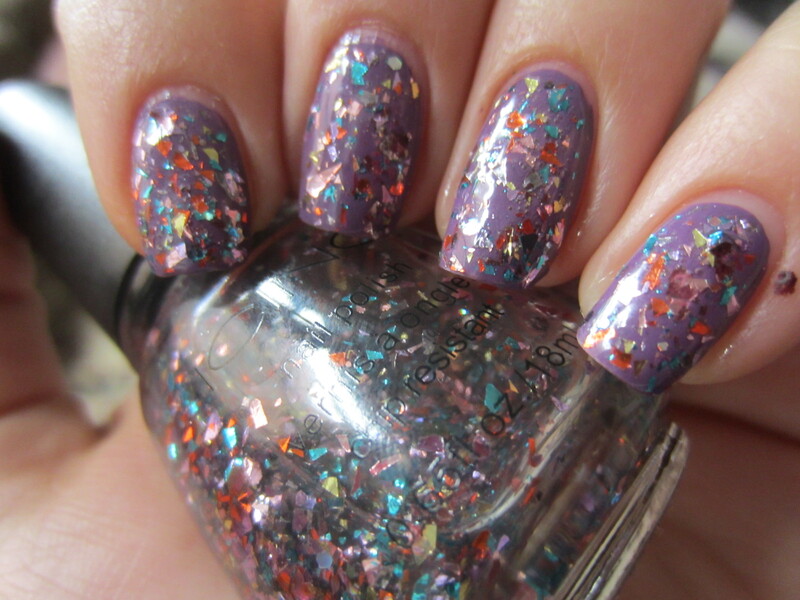 And I like how you combine the names of the polishes to get the name of the post! I love the word play on the names of the nail polishes! This looks seriously gorgeous on you!! That glitter is definitely beautiful! awww thanks! thats so sweet!